Ornamental cherry trees continue to be a cherished staple in the spring garden. 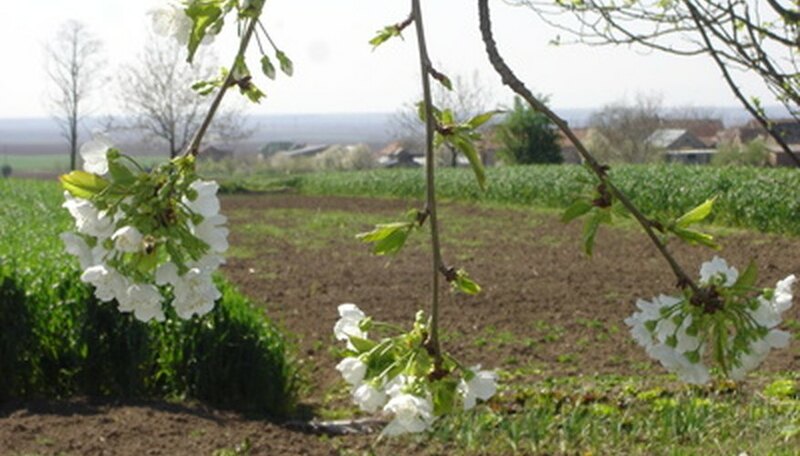 Still, many cherries will out-grow the average landscape. Fortunately there are a number of dwarf varieties to choose from. There are even varieties the size of a large shrub at maturity. By choosing wisely, most gardens can support at least one cherry tree. Japanese cherries are among the most sought-after ornamental flowering trees. Many varieties are suitable for the smaller garden. The horizontal branching varieties evoke the strongest Japanese presence in the garden. Their structure eliminates height issues, since they range from 12 to 20 feet in height. They grow as wide as they are tall but can be kept smaller if necessary. 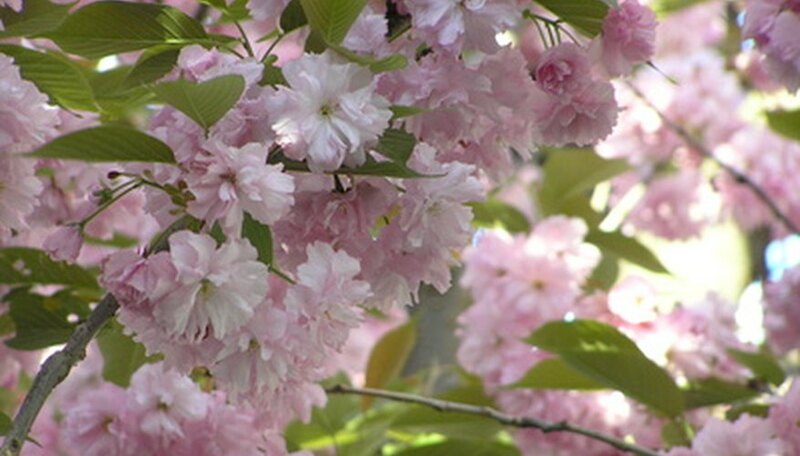 When choosing a small flowering cherry, you will want to determine the flower color and type desired. There are blooms with single or double petals, in shades of white or pink. The Mt. Fuji cherry (Prunus serrulata 'Mt. Fuji') has horizontal branches and double white flowers. 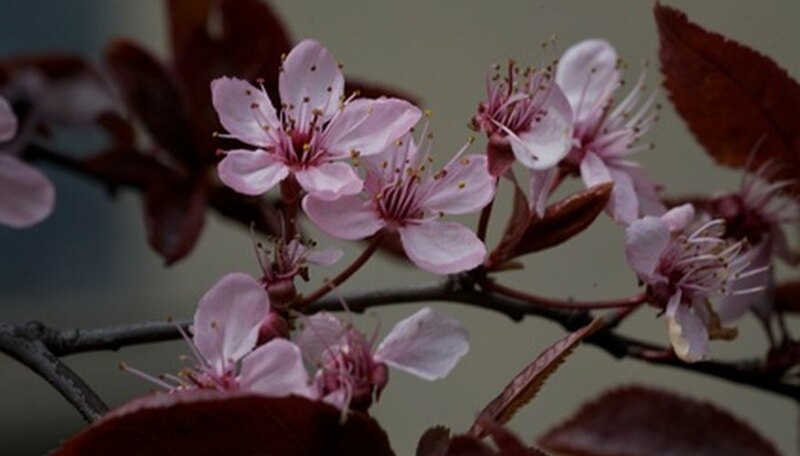 (Prunus serrulata 'Shirofugen') has bronze leaves and double white flowers, that have just a blush of pink. (Prunus serrulata 'Shogetsu') has more arching branches, and double pink flowers. These flowering cherries are all hardy to USDA Hardiness Zone 5. Some cherries are planted for their colorful foliage, as well as for their flowers. The purple-leaved sand cherry (Prunus cistena), is a small multistemmed tree. It provides purple leaves and single white flowers. The added benefit is the edible black berries. 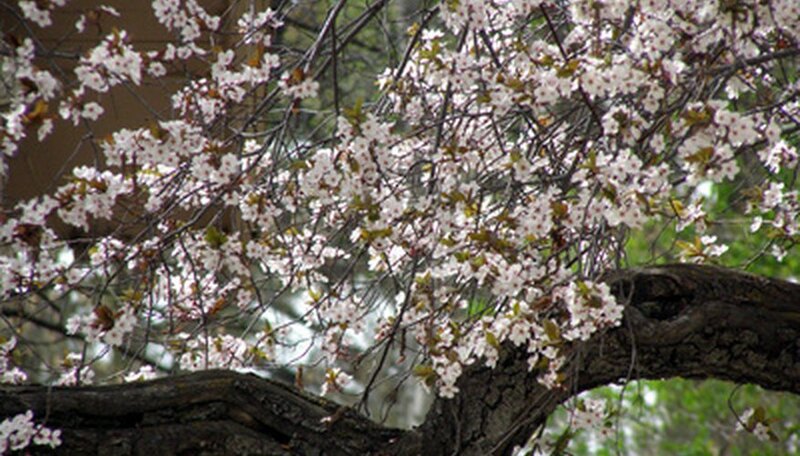 At maturity, the sand cherry is only 4 to 6 feet tall. It is hardy to USDA Hardiness Zone 3. Another valuable dwarf cherry is (Prunus 'Holly Jolyvette'). This one blooms at a very young age and for a long period in spring. The flowers have double white petals. 'Holly Jolyvette' reaches 15 feet tall at maturity. The great white cherry (Prunus 'Tai-haku') has some of the largest single white flowers found among the ornamental cherries. All this bloom is found on a 6 to 7 foot tree. The leaves emerge bronze-purple, making it a great foliage plant as well. Both of these dwarf flowering cherries are hardy to USDA Hardiness Zone 6. Weeping flowering cherry trees can be a focal point in the small garden. One popular weeping cherry is the double weeping Higan cherry (Prunus subhirtella 'Yae-shidare-Higan'). It has very full double pink blossoms and reaches between 15 and 20 feet in height. A similar tree with a lighter shade of double pink blooms (Prunus 'Snow Showers'). Another pink weeping cherry that may have single or double flowers is (Prunus subhirtella'Shidare-Zakura-Pendula'). For single white flowers try (Prunus 'Snow fountains'). This one will reach a mere 12 feet at maturity. The best way to be sure of bloom color and size is to choose a weeping cherry in bloom.